It seems Tyson Fury will have to travel for a fight once again. Not that the self-styled “Gypsy King” has ever shown the slightest amount of trepidation when it comes to fighting in the homeland of his opponent. 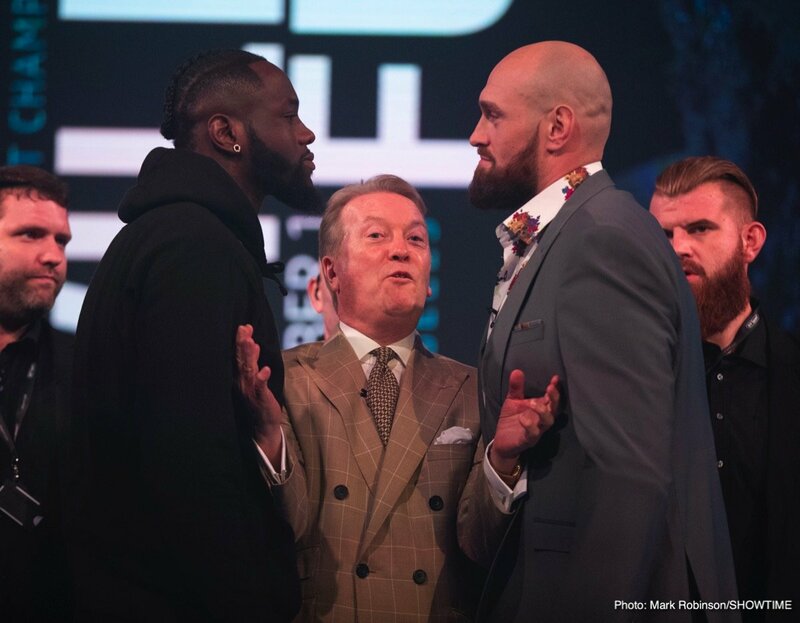 Promoter Frank Warren, speaking with ESPN, says the return between Fury and Deontay Wilder is likely for the second quarter of the year, hopefully to take place before June. And Warren said the sequel to the heavyweight fight of 2018 will almost certainly take place in America again. Fury is already back in the gym training for the rematch, while Wilder seems to be putting his energies into his second love, acting. Both men know they must be in tip-top shape for the return fight, though. And Warren is right when he says this rematch is the fight everyone wants to see. The first fight surprised plenty of fans, and experts, on a number of levels. No-one really expected Fury to be as sharp and as fit as he was, what with just two “easy” tune-ups preceding the fight and following the linear champ’s long layoff. And of course no-one expected Fury to be able to take Wilder’s bombs and survive – that 12th and final round still astounding to watch well over a month later. Now what can we possibly expect from the rematch? Wilder says he will aim to weigh more, put on additional muscle, while Fury aims to be even sharper in the second fight. Jack Reiss, the man who refereed the fight – and was applauded for his performance on December 1st – says we can expect an even greater fight in the rematch, that both men will raise their game. If he’s right we will get a classic in June or whenever the fight goes ahead. And Vegas seems to be the perfect venue. In fact, many people said Vegas was the ideal location for the December fight and were surprised when the fight wound up in Los Angeles. Will we see a clear winner this time round? Will we see a KO? Will both men hit the canvas in the rematch? I don’t know about you, but I for one can’t wait for the rematch.